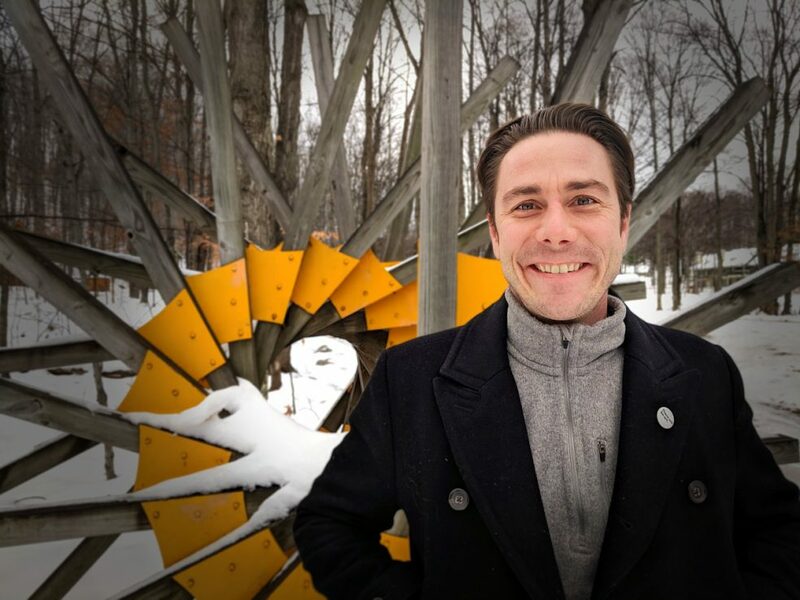 We are excited to announce that Joseph Beyer has been selected as the new Executive Director for Michigan Legacy Art Park. In 2016 Beyer joined The Redford Center as Director of Marketing and Distribution and previously worked at Warner Bros. and the MPRM agency in an early career almost exclusively devoted to film festivals and connecting audiences to new work. His assignments have taken him around the world, advocating and attempting innovations on behalf of organizations and artists. He was briefly the Executive Director to the Traverse City Film Festival and Director of Audience Engagement and Brand Strategy to MyNorthMedia, which produces Traverse Magazine. Beyer was born and raised in West Michigan and spent summers in Northern Michigan during his youth. “It’s such an honor to join this accomplished organization at such an exciting opportunity in time. From the trail volunteers to our wonderful partner in Crystal Mountain – it’s going to be my privilege to help steward the mission of the park and watch it inspire new generations of visitors as it has faithfully since 1995, when David Barr and a group of creative local thinkers conceived of this project and saw it through to make it happen,” Beyer said.